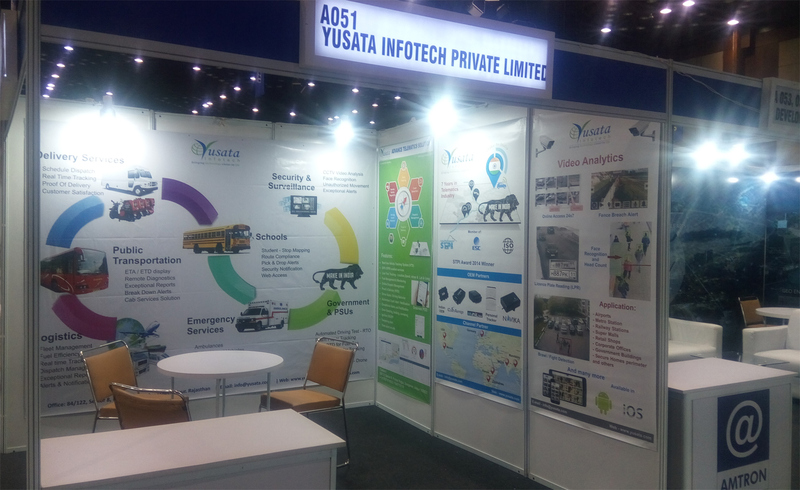 We, Yusata Infotech, participated in India Soft 2017 event on 13th and 14th February 2017 and was provided with a booth number, A051 to attract visitors from all over the world. During the event, we had rush of visitors from various countries looking for breakthrough solutions; most of the visitors were interested in our Video Analytics, telematics and IOT solutions. Some interesting discussions were held with visitors from Poland, Middle East, Germany, Australia, Khazakhstan and Tajiskistan. We were fortunate to have an IoT + Telematics solution for the Myanmar Post. The event has been a good PR activity of Yusata, every year. We have been promoting our innovative solutions related to Telematics and IOT domain majorly. Our company forte is providing solutions in the different sectors like Transportation, Delivery and Dispatch, Service, Courier, Schools, Government, etc. It was a platform for us to experience and expose the array of different services of Yusata. Moreover, we would also like to add that it was a fruitful event by mean of adding channel partner in Oman and Kenya. We wish to participate in the event again and congratulate the orgnaizer, exhibitors and visitors a successful year ahead. We would like to thank our delegates for making their presence at our booth no A051 in Hotel Novotel, HI-TECH City, Hyderabad 2017.